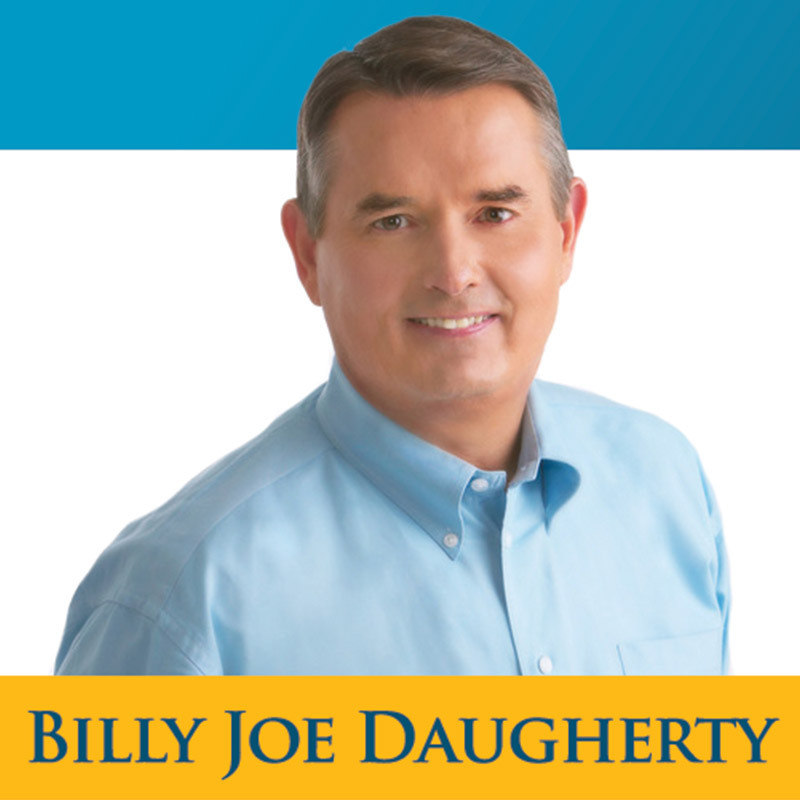 Billy Joe Daugherty was founder and pastor of Victory Christian Center in Tulsa, Oklahoma. 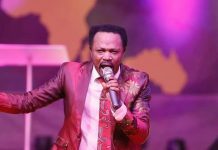 He was also the founder of Victory Christian School, Victory Bible Institute and Victory World Missions Training Center. Nine hundred and eighty Victory Bible Institutes have been started in eighty-five countries around the world. He was also briefly the interim president of Oral Roberts University. Daugherty was born on April 23, 1952 and he graduated from Magnolia High School in Magnolia, Ark. in 1970. Victory Christian Center built the Tulsa Dream Center, which houses a food and clothing distribution, dental/medical clinic, legal counseling, recreation facilities and other programs to help needy people of Tulsa. Victory’s bus ministry brings 1,000 – 1,200 children and teens from this area each Saturday for Kidz Ministry and S.O.U.L. Youth ministry. 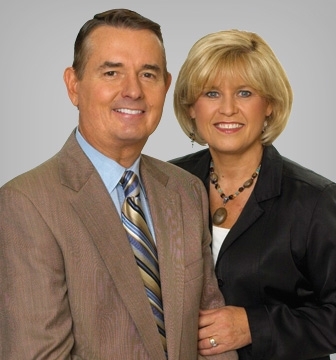 Daugherty’s daily radio and television broadcast, Victory in Jesus, reaches more than 100 million households in North America as well as via satellite and the internet internationally. He was the author of Knocked Down But Not Out, This New Life, Building Stronger Marriages, Families, and Led By the Spirit. He and his wife Sharon authored over a dozen books. 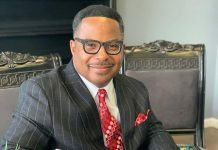 On November 20, 2005, a 50-year-old man named Steven Wayne Rogers came forward for an altar call at Victory Christian Center and punched Daugherty twice in the face, opening a cut over his left eye that required two stitches. Daugherty stumbled back onto the stage away from Rogers and prayed that God would forgive Rogers and bless him. Later that evening Daugherty visited Rogers in the Tulsa county jail to discuss the reasons for the attack. Rogers showed no remorse for what he had done. “He said he’d do whatever he wants, to whomever he wants, whenever he wants,” Daugherty said. Daugherty did not press charges against Steven Rogers for the assault. On October 17, 2007, Daugherty was named “Executive Regent” of Oral Roberts University in the wake of numerous allegations of impropriety involving ORU President Richard Roberts and his wife, Lindsay Roberts. Daugherty’s role as Executive Regent included serving as acting president of ORU for a short time until ORU Provost Ralph Fagin assumed the position. Daugherty was married to Sharon Daugherty, and they had 4 children together. 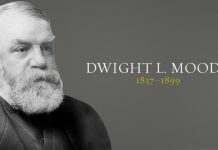 In October 2009, Daugherty was diagnosed with non-Hodgkin’s lymphoma, of which he died at the M.D. Anderson Cancer Center in Houston, Texas, aged 57 on November 22, 2009. 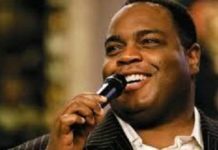 Pastor Daugherty’s last appearance at Victory Christian Center was on October 17, 2009 as he officiated youngest son Paul’s wedding to his wife Ashley McAuliff. A memorial service for Daugherty was held at the Mabee Center in Tulsa on November 30.